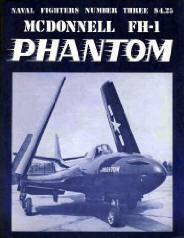 YellowAirplane.com: The F-4 Phantom II Jet Fighter Aircraft Books and F-4 Books. 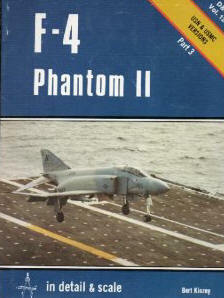 The F-4 Phantom II Jet Fighter Aircraft Books, F-4 Books. F-4 Phantom II Book Section. Of the Jet Fighters Military Book Department. Take a look at the F-4 Phantom II military jet fighter. It has fantastic aerodynamic lines that give this aircraft fantastic curves. One day I talked to my Chaplin about how I was dreaming about beautiful curves all the time, and he looked at me strangely, thinking that I was dreaming about beautiful young girls. Then I said the beautiful curves were on the F-4 Phantom II jet fighter. He had a chuckle, but still looked at me strange. But look at the pictures of the books listed below and you will know what I mean. Echa un vistazo a la F-4 Phantom II militares a reaccin de combate. Ha fantstico lneas aerodinmicas que le dan a esta aeronave fantstico curvas. Un da habl con mi Chaplin acerca de cmo yo estaba soando con bellas curvas de todo el tiempo, y l me mir curiosamente, pensando que yo estaba soando con hermosas jvenes. Entonces me dice la hermosa curvas en la F-4 Phantom II caza a reaccin. Tena una risa, pero me mir raro. Pero mira las fotos de los libros que figuran a continuacin y sabr a qu me refiero. 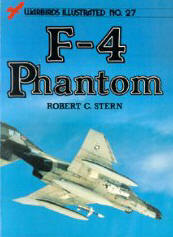 The F-4 Phantom II Books of this Viet Nam era jet fighter listed in this fighter jets F-4 Books. Originally the F-4 Phantom II Jet Fighter didn't have any guns. 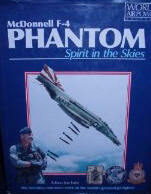 It was thought that with the high speeds and the advanced missile technology that the phantom didn't need guns. The pilots had all kinds of complaints, guns were necessary, so the F-4 Phantom was finally fitted with a Gatling (20 mm) cannon. The F-4 Phantom II became one of the worlds most famous fighter jets ever and changed the world of military aviation -- The F-4 Phantom II was built by McDonnel Douglas. It was a large airplane for being a jet fighter with a length of 62' 10" and a wingspan of 38' 5". The F-4 Phantom II Fighter airplane weighed 28,276 lbs empty and had a max weight of 58,000 lbs. The F-4 Phantom fighter Jets had two General Electric J79 engines with 17,000 lbs each while using afterburners, with a combined total thrust of 34,000 lbs. The jet had a max speed of 1459 mph, a cruise speed of 587 mph and a max range of 1370 miles. Look at this great selection of fighter jets books in this huge airplane book store. F-4 Phantom II Jet Fighter books. Davies. This is the story of how a large, gunless interceptor became a viable opponent to nimble MiGs in the skies over Vietnam. It's a fascinating history that includes recently declassified records; an exploration of the USAF's training, tactics, and use of missiles; firsthand accounts of stirring MiG encounters; and the roles of key figures such as Air Force triple-ace Col. Robin Olds. 96 pages, 68 B&W and 16 color photographs, 27 color profiles, 7"x 9", softcover. Davies. Though designed for fleet defense, the U.S. Navy's F-4 Phantom was, with its tremendous power and bomb-carrying capacity, ideally suited to the attack role. Here, you'll see the F-4 in action against its main adversary in Vietnam, the MiG-17, as you learn about each planes' design and development, specifications, strengths and shortcomings, pilots, and more. 80 pages, color and B&W photographs and illustrations, 7"x 9", softcover. Paloque. Filled with more than 100 full-color profiles and four-view drawings, this heavily illustrated book examines the complete history of F-4 Phantom IIs - of which more than 5,000 were built - in U.S. Air Force and Air National Guard service and in the service of foreign users to whom it was exported, including Israel, Japan, West Germany and Egypt. 80 pages, color and B&W illustrations and photographs, 8"x 9", softcover. Black. A thorough, "inside and out" review of the United States' principal air superiority fighter of the Vietnam War, this heavily illustrated volume provides detailed information on what it takes to fly and maintain the F-4 Phantom. You even get a comprehensive, step-by-step photographic presentation on servicing procedures! 160 pages, color and B&W photographs throughout, 8"x 10", hardcover. The Wild Weasels in Desert Storm, The Elimination of Iraq's Air Defence. Eisel & Schreiner. Based on the co-author's journal and the recollections of other F-4G Wild Weasel aircrew, this book takes an insider's look at what life and war were like for F-4G Wild Weasel aircrew during 1990-91's Operations Desert Shield and Desert Storm. 272 pages, 100 B&W and color photographs and illustrations, 7"x 9", hardcover. Davies. Through firsthand accounts and innovative cockpit-view artwork, this heavily illustrated book examines the legendary Vietnam War dogfights between the better gunned American F-4 Phantom II and the smaller, faster North Vietnamese MiG-21 while also exploring the planes' design and development and successes and failures. 80 pages, 65 B&W and color photographs and illustrations, 7"x 9", softcover. Coughlin. The F-4 Phantom II has served air forces around the world, leading to the production of numerous model kits. This volume shows you how to model a variety of scales and skill levels and covers many different variants, use of aftermarket detail sets, conversions, accessories and decals. Includes color reference cards, period images and building photos throughout. 80 pgs., 7"x 9", sfbd. Marrett. This book chronicles the author's experiences at the Air Force Test Pilot School at Edwards Air Force Base in the 1960s, which was a true golden age of flight testing. You'll feel like you're strapped into the cockpit with the test pilots as you go vertical in a T-38 Talon, complete high-G maneuvers in an F-4C Phantom, conduct wet-runway landing tests in the accident-prone F-111A Aardvark, set world speed records in the YF-12 Blackbird, test speed stalls in the SR-71 spy plane, witness a UFO in the night sky above the Mojave Desert, and much more. 272 pages, 37 B&W photographs, 6"x 9", hardcover. Peake. 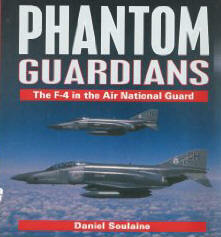 Almost exclusively tabular and with only small text summaries to serve as introductions to chapters or explanatory material, this book lists each of the 5,000+ F-4 Phantoms built, providing block number, serial number, attrition date and circumstances, aerial kills, retirement date and circumstances, tail codes, and other essential details. 360 pages, 180 color photographs, 8"x 11", softcover. Versions of the F-4 Phantom II have provided the backbone of the frontline strength of the Iranian air force since the 1970s, bearing the brunt of combat operations during the long war with Iraq. Iranian F-4 Phantom IIs were also some of best-equipped examples ever exported by the USA. This book removes the veil of secrecy surrounding Iranian Phantom II operations. 96 pgs., B&W photos and color artwork, 7"x 9", sfbd. Sullenberger. This is the inspirational autobiography of Capt. Chesley "Sully" Sullenberger, the airline pilot whose emergency "Miracle on the Hudson" (River) landing earned the world's admiration. You'll read how he learned to fly as a teenager in a crop duster's single-engine plane in the skies above rural Texas, of his years in the U.S. Air Force at the controls of an F-4 Phantom, and of the drama of that fateful day at the controls of Flight 1549. 340 pages, 46 color and B&W photographs, 6"x 9", hardcover. U.S. Navy and Marine Corps F-4 Phantoms. Davies. 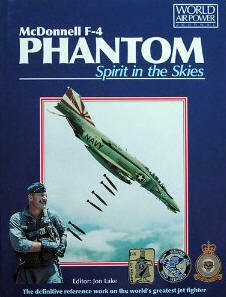 This study of the sea-going Phantoms includes contributions from over 100 aircrew and maintainers who were involved in the Phantom's success. These voices are blended with a detailed technical and developmental description of the aircraft, supported by comprehensive appendices and numerous photos, many previously unpublished. 192 pgs., 450+ color and B&W photos, 8"x 11", hdbd. The most complete photo study available of the air war in the Gulf, covers every unit that participated including French, Italian, British, and Saudi. Photos of F-15s, F-4s, A-10s, B-52s, F-16s, F-14s, F-111s, F-117 Stealth, C5s, KC-10s, C-141s, C-130s, KC-135s, U-2/TR-1 and many others. 160 pgs., over 750 color photos, 9"x 12", sfbd. Hounsfield. Flight testing experimental and new aircraft is one of the world's most hazardous occupations. This collection of first-person stories written by some of the world's best test pilots offers unique insight into the dangers and thrills of testing aircraft such as the Spitfire, the Concorde supersonic airliner, the F-4 Phantom II, the U-2 spy plane, and many others. 208 pages, 80 photographs and illustrations, 6"x 9", hardcover. Davis. This volume includes more than 150 color and B&W photographs, 12 color profiles, B&W technical drawings, and a richly written, authoritative text to show you the F-4 Phantom - one of the most famous, versatile, and capable aircraft of the 1960s - inside and out, in all its guises: from fleet interceptor to fighter-bomber, reconnaissance plane and MiG killer. 80 pages, 11"x 8", softcover. Logan. This book chronicles the service of the McDonnell-Douglas F-4 and RF-4 Phantom II. The book is organized by AFRES and ANG units and illustrates the F-4's service, colors and markings with hundreds of color photographs and unit patches. 256 pgs., 700+ color and B&W photos, 8"x 11", hdbd. Gillcrist. The author flew the F-8, F-4 and F-14 among others. 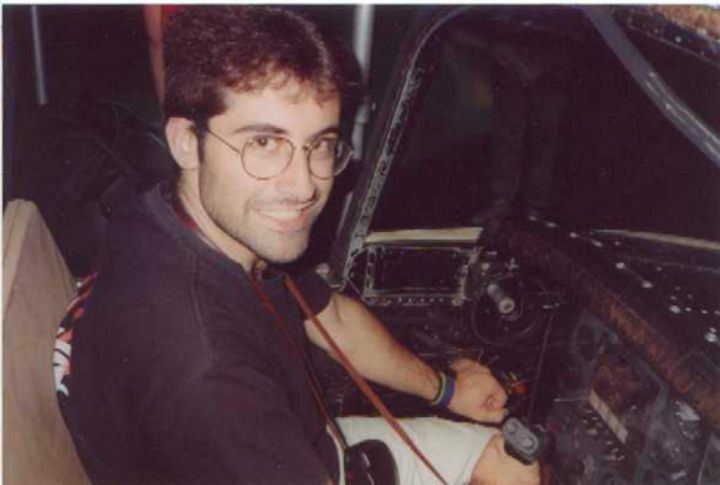 Hair-raising true adventure including his first night 'trap', dodging SAMs in Vietnam, and jousting with MiGs over Hanoi. All written to put the reader in the pilots seat. 368 pgs., illustrated, 6"x 9", hdbd. Exploring every facet of the Phantom It's life and times, the author lucidly examines the basic principles of engineering management that glue together the aerospace industry. The eighth installment in the LOCK ON series, this volume highlights the classic gun-nosed McDonnell Douglas F-4E Phantom II. Carrying on the LOCK ON tradition, this book is loaded with a wealth of information in the form of beautiful full color photographs with highly descriptive captions. Details covered include airframe, radar, armament, engines, cockpits, landing gear, maintenance, and more. Geared toward the serious scale aircraft modeler, this book will equally satisfy any aviation enthusiast or Phantom Fanatic! Rasimus. Balancing hard-charging, palm-sweating action with the horror of modern warfare, this memoir - by a highly decorated, 250-combat mission, Viet Nam veteran fighter pilot who experienced it all flying the F-4 Phantom in the late-war Linebacker Campaigns - straps you into the pilot seat to experience the troubles of a war gone on too long. "as real as it gets without your having been there." - Robin Olds, Brig. General, USAF (Ret). 272 pages, 8 pages of B&W photographs, 6"x 9", hardcover. Hunter & Tokunaga. Though its long and distinguished career is almost over, the McDonnell Douglas F-4 Phantom II remains in service with various air forces around the world. This heavily illustrated book takes you to the last operational locations of the Phantom to view its current activities and meet the pilots and others still associated with the legendary Warbird. 160 pages, 300 color photographs, 8"x 11", soft cover Book. McCarthy. This riveting memoir details the journey of an eager young pilot who flies an F-4 Phantom II in Vietnam War, rises to the rank of colonel, and later reexamines his beliefs. From the extensive training to the intense air campaigns over North Vietnam and Laos, you'll feel as though you're in the cockpit. 200 pages, color and B&W photographs, 6"x 9", hardcover. Mailes & Keith. This photo-history of Gowen Field - home to Idaho's adjutant general, the state's Army and Air National Guard, and U.S. Army, Navy and Marine Corps reserve units - takes you from its opening in 1941; through B-17 and B-24 training in World War II; and into the post-War years with the Air Guard operating the F-51, F-86, F-102, RF-4C and F-4G and, today, the A-10 and C-130. 128 pages, approximately 200 B&W photographs, 6"x 9", softcover. This newly revised and expanded edition is the complete story of the world's best-loved and greatest fighter, ever-the F-4 Phantom. Tasked with a host of different missions, the Phantom served many countries and took part in conflicts stretching from the Vietnam War through the Gulf War. This book's authoritative text provides the reader with in-depth analysis of this important cold war warrior. It is packed with two-page color artworks, cutaways, technical drawings and a staggering array of photos. Every variant, every operator and every weapon carried by the Phantom are described. USAF F-4 and F-105 MiG Killers of the Vietnam War 1965-1973. Edward & Davies. For every American fighter pilot involved in the Vietnam War, the ultimate goal was to "kill a MiG." In eight years of conflict, U.S. Navy and U.S. Marine Corps Phantom II crews claimed 43 Vietnamese Peoples Air Force aircraft. Packed with firsthand accounts from combat veterans and rare archival photography, this volume charts the successes of the navy fighter crews as they encountered "MiGs, Missiles and AAA" over the jungles of North Vietnam. 96 pages, 95 B&W and color photographs, 16 color profiles and more. 7"x 9", softcover. Davies. This book covers the late-war F-4 attacks on numerous targets in North Vietnamese cities such as Hanoi and Haiphong, as well as engagements with Vietnamese MiG-19s and MiG-21s hell-bent on defending the north from "Yankee Air Pirates." The USAF's only ace crew, which scored their five kills during 1972, is also here. 96 pages, many previously unpublished photographs, 7"x 9", softcover. Cook. Documents an aviation cadets training and assignment as an F-4 fighter pilot in Vietnam, and his survival of 400 hours of combat with its trauma and near misses. Ride along in the cockpit over enemy territory on an emotional roller-coaster, reveling in the triumphs, mourning lost friends, laughing at military life absurdities, and sharing in the camaraderie spawned by war. 220 pgs., 6"x 9", sfbd. Book Description This newly revised and expanded edition is the complete story of the world's best-loved and greatest fighter, ever-the F-4 Phantom. Tasked with a host of different missions, the Phantom served many countries and took part in conflicts stretching from the Vietnam War through the Gulf War. This book's authoritative text provides the reader with in-depth analysis of this important cold war warrior. It is packed with two-page color artworks, cutaways, technical drawings and a staggering array of photos. Every variant, every operator and every weapon carried by the Phantom are described. A study of the F-4 Phantom II multi-role fighters that served with the US National Guard squadrons. The book is intended to be a retrospective of the many camouflage schemes and unit markings carried over the years by ANG Phantoms. Containing a wealth of first-rate colour photography, this book by Daniel Soulaine provides a lavish pictorial record of the Air National Guard Squadrons armed with the legendary F-4 Phantom, including all fighter and recce variants operated by the flying minutemen. This definitive, updated and extensively illustrated history covers all naval and land-based variants, beginning with the design origins and continuing through to its later roles in electronic warfare and SAM suppression. Appendices cover all Phantom serial codes, MiG killers and a remarkable history for every operating unit. Illustrations cover every period of the F-4's service. 296 pgs., 275 B&W photos, 8½"x 10¾", sfbd. Bowman. This multi-role, land-based and carrier-borne fighter was the first with the capability to identify, intercept and destroy a target without relying on ground control. This book includes chronology, prototypes, operational history, variants, specifications, weapons, production figures, model kit information and more. Color illustrations show the different markings used in various theaters of operation. 96 pgs., 16 pages of color photos, 3-views and more. 7"x 9", sfbd. Wilson. The multi-role F-4 Phantom has proven itself as a formidable fighter, bomber and recon platform in Vietnam, the Middle East and elsewhere. This illustrated reference traces its development and offers a model-by-model guide to all variants. In addition, technical and performance data are supplemented by serial numbers, production figures, a summary of operators, and exclusive profile drawings. 48 pgs., 50 color photos, 7"x 10", sfbd. Kinzey. The F-4C and F-4D were both used in close air support, interdiction and counter-air roles. Also known for their air-to-ground capability, they can carry twice the bomb load of a B-17. The RF-4C used cameras in its nose section for advanced day or night reconnaissance. Here, you'll see details of all these F-4 variants through extensive close-up photos, engineering drawings, cutaways and more. 64 pgs., 8"x 11", sfbd. It was swastikas and Japanese flags in World War II; in Vietnam it was a red star. That was a badge that denoted a "kill." Here is a photo essay on some of America's top planes of the period, most of which were F-4 Phantoms, but a section on F-105 Thunderchiefs is also included. 80 pgs., 240 color and B&W photos, 8½"x 11", sfbd. Cobleigh. The author, who flew 375 combat sorties totaling more than 1,000 hours of combat time in the F-4D Phantom II, shares this intimate, unprecedented look into the state of mind of a pilot as he experiences everything from the carnage of a crash to the joy of flying through a star-studded night sky, and from illogical political agendas to his own dangerous addiction to risk. 288 pages, 8"x 6", softcover. Brings to life the realities of flying an F-4 in Vietnam combat by profiling seven combat pilots and their experiences. More than 150 photos and 15 color illustrations accompany personally revealing text, while a post-combat section updates the reader on aircraft status through the 1980s. 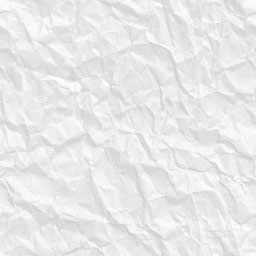 64 pgs., 8 ½" x 11", sfbd. O'Connor. Based on two decades of research and hundreds of hours of interviews with naval carrier pilots of the era, this is "the definitive history of the Navy's MiG battles." - Randy Cunningham, VF-96, first American ace of the Vietnam War. It's an exciting, honest-in-every-detail account, written with a true-to-life style that takes you from the flight decks of the carriers to the cockpits of F-4 and F-8 jet fighters in combat. 272 pgs., 355 B&W photos, 8"x 11", hdbd. Hughes & Dranem. Learn why the F4 had no gun until the "E" variant covered here. The story of its development is fascinating, as are the Vietnam-era color photos, cockpit and panel drawings and photos, exploded views and cutaways, even tech manual excerpts. A great reference for the jet fighter enthusiast. 100 pgs., 140 color and B&W photos, and 35 diagrams. 8"x 11", sfbd.